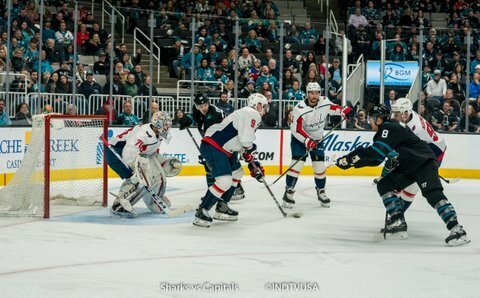 Just over two minutes into the period, Joe Thornton skated the puck in the offensive zone from the left side. 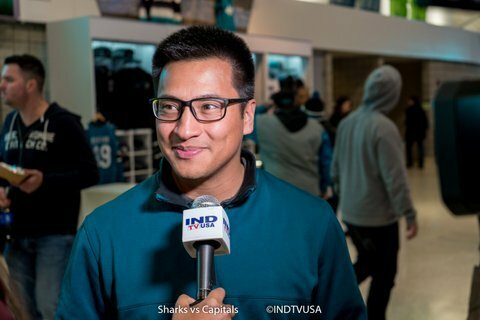 He passed it to Kevin Labanc on top of the right circle. 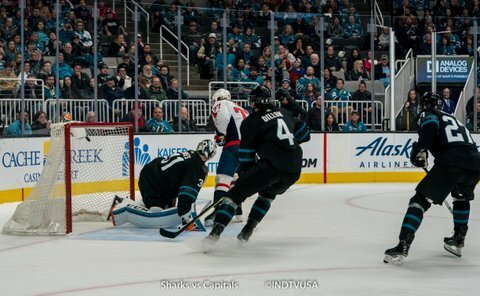 Labanc took a step towards the net and wristed a shot over the goalie’s glove hand into the net and put the Sharks on a 1-0 lead. 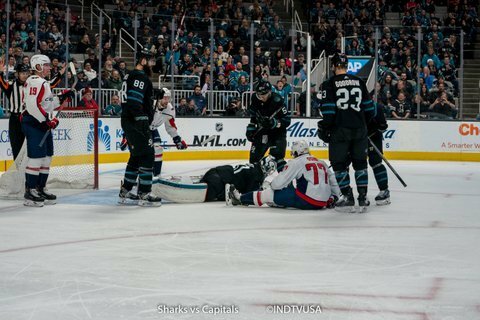 A minute later, Captain Joe Pavelski got a tripping penalty which put the Capitals on their first power play of the game. 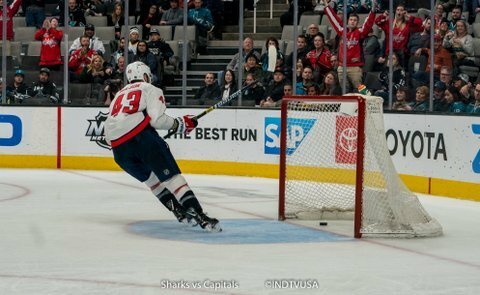 Just seconds into the power play, T.J. Oshie threw the puck into the crease from behind the goal line. 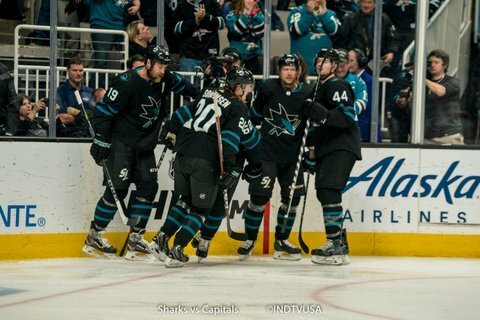 It bounced off of Marc-Edouard Vlasic’s body and into the Sharks net and tied the game at 1. 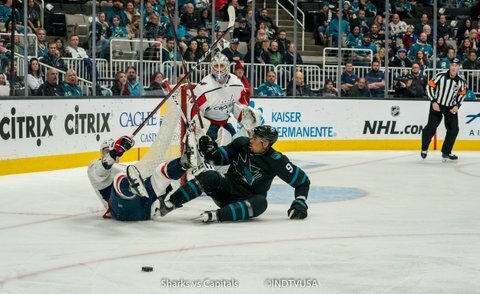 Eleven minutes into the period, Evander Kane missed an open net opportunity on one end and off went the Capitals to the races on the other end. 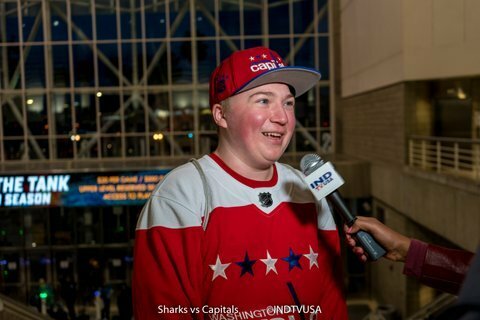 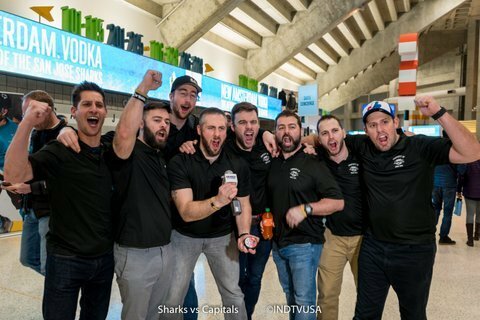 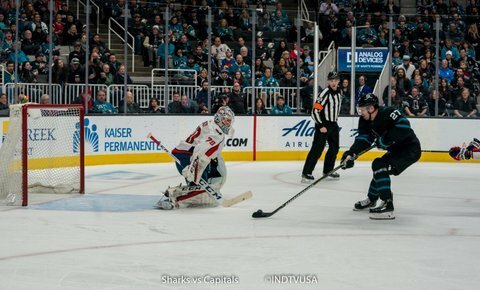 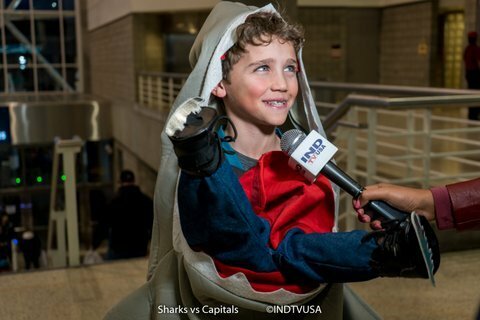 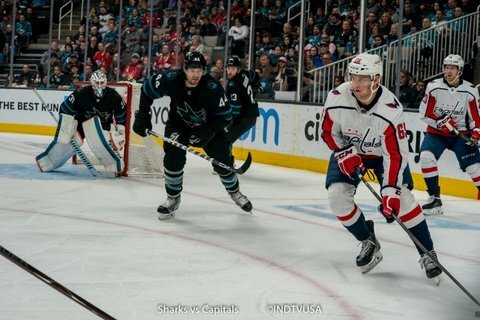 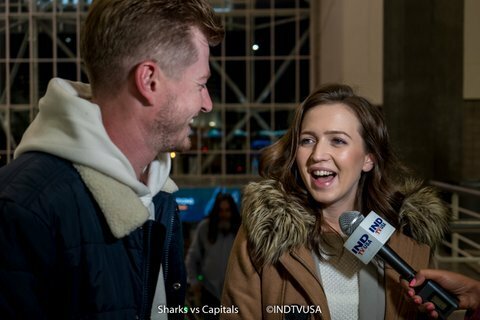 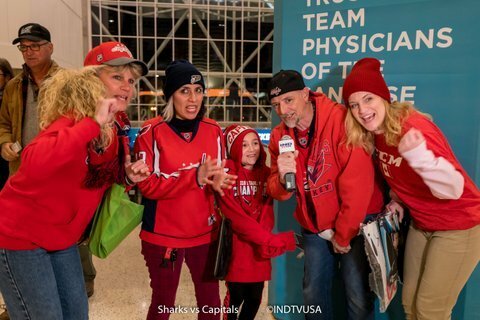 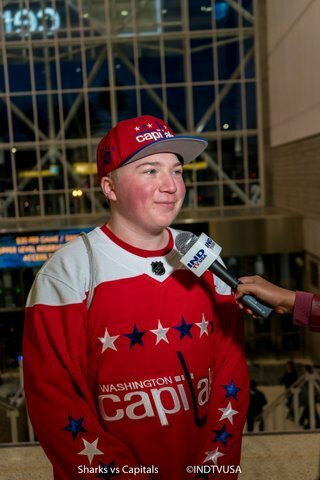 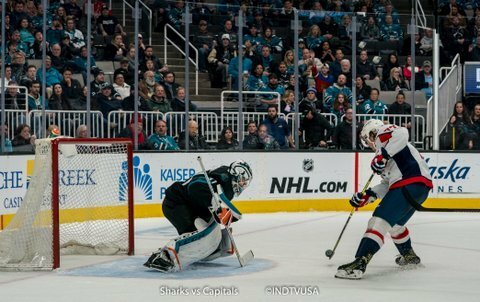 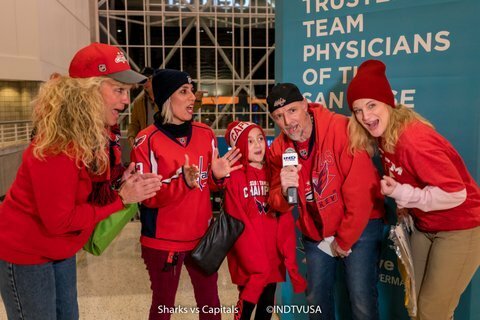 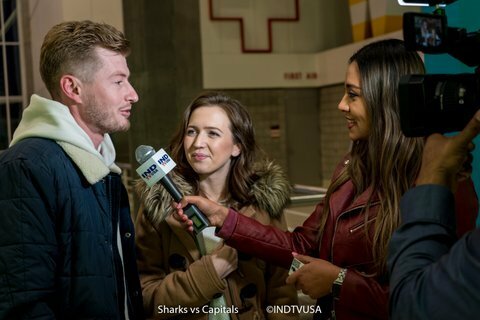 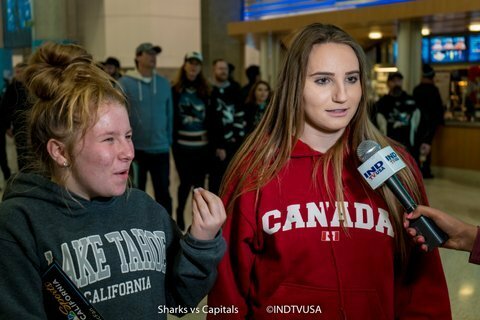 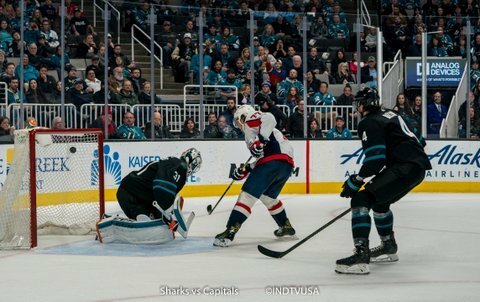 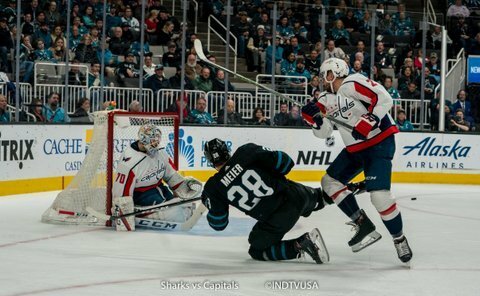 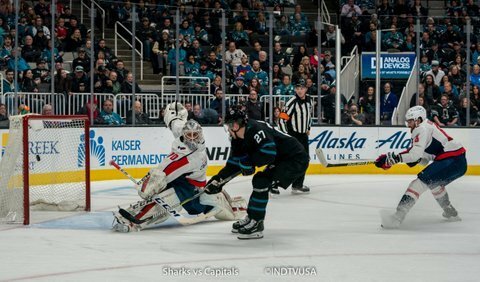 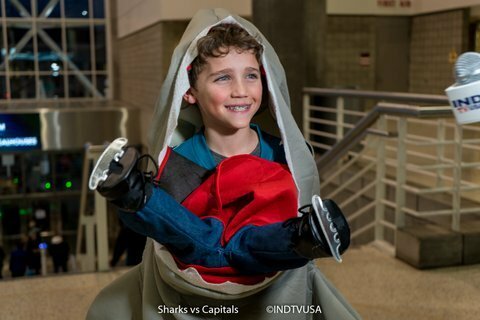 That’s when Jakub Vrana shot his own rebound into the Sharks net over Martin Jones’s blocker and gave the Capitals a 2-1 lead. 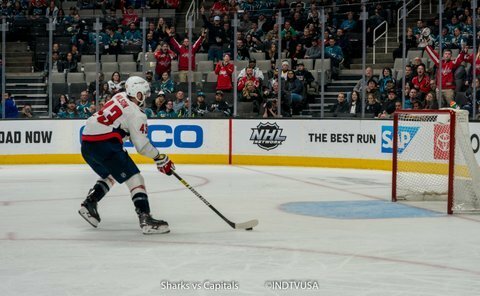 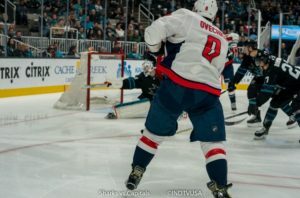 Just over four minutes into the second period, Alex Ovechkin was parked in his office with his stick cocked for a one-timer. 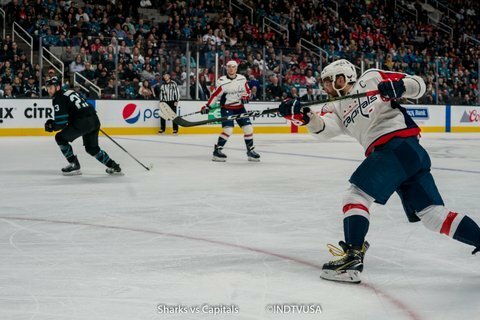 That’s when he got a circle to circle pass and beat Jones with a one-timer. 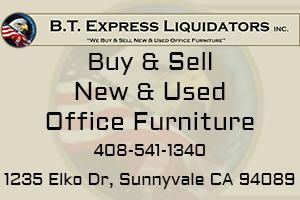 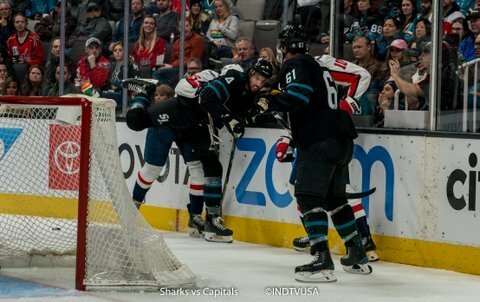 As the clock was winding down on the second period, Brent Burns missed a poke check on a loose puck which gave a break-away to T.J. Oshie. 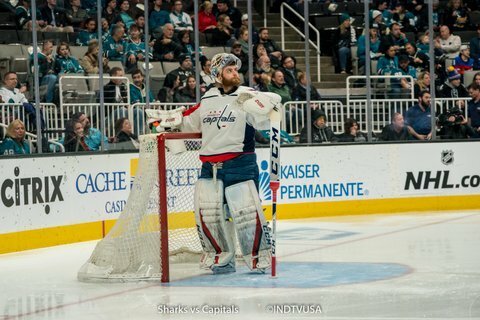 He beat Jones and gave the Capitals a 4-1 lead. 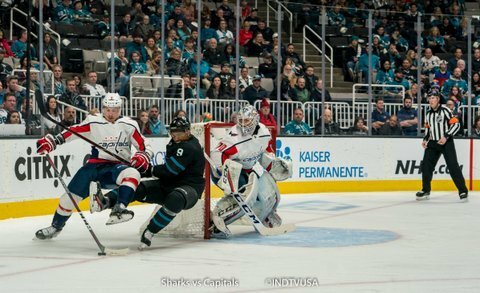 The score remained the same for most of the third period. 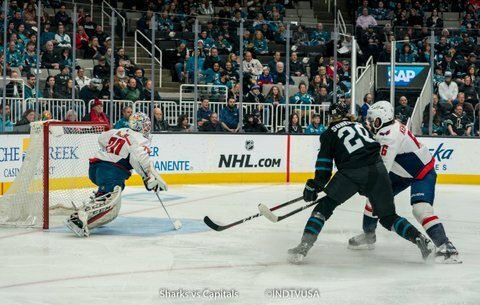 With less than three minutes left in the game, Tom Wilson scored an empty net goal. 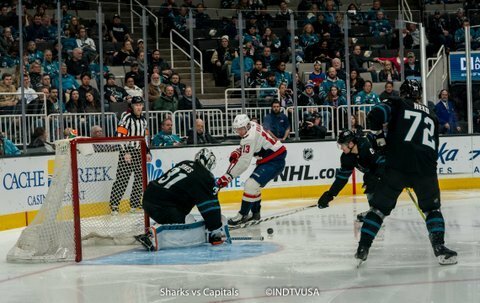 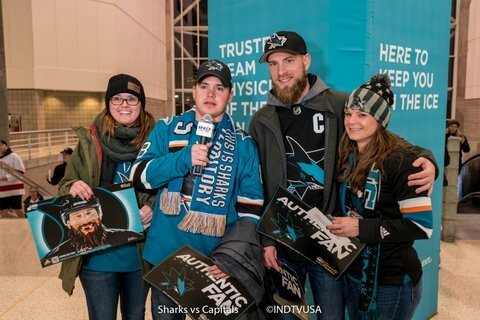 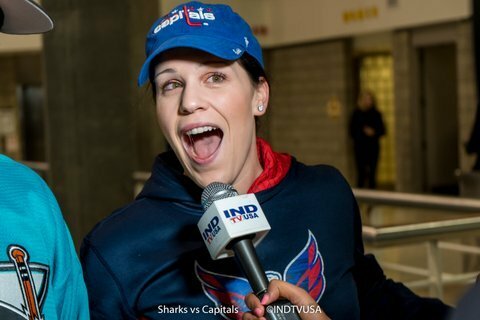 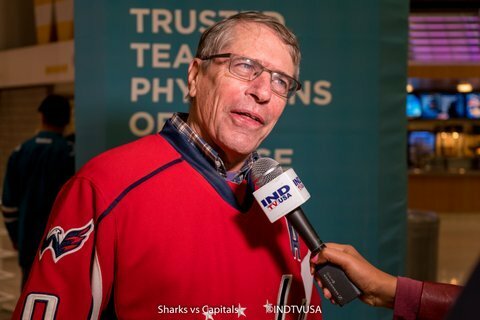 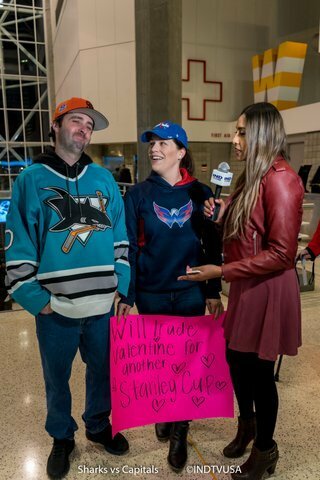 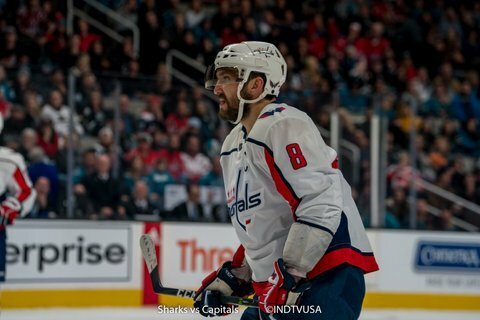 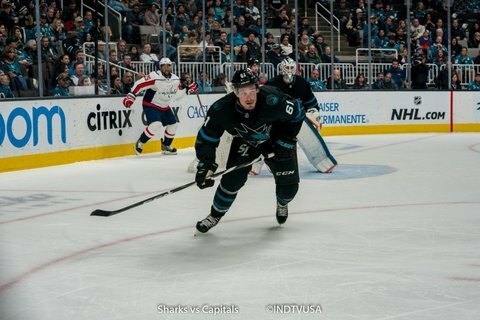 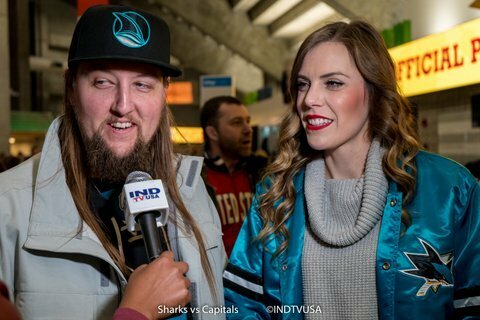 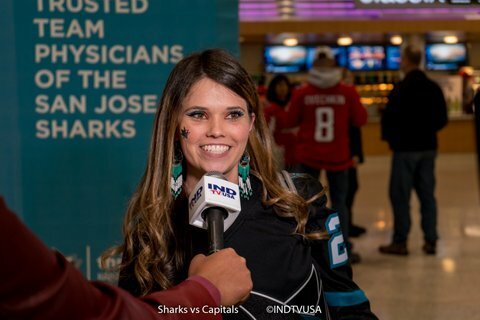 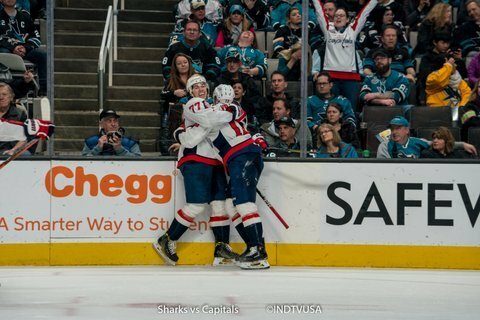 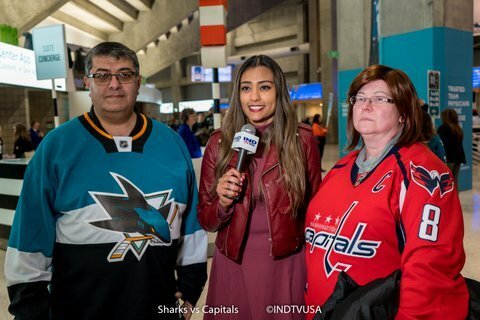 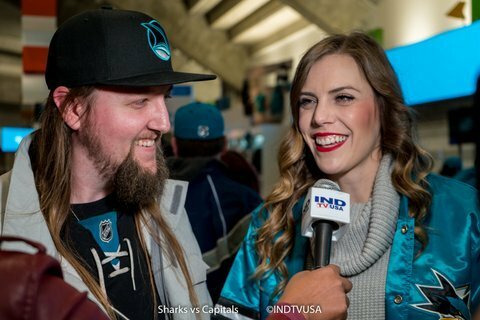 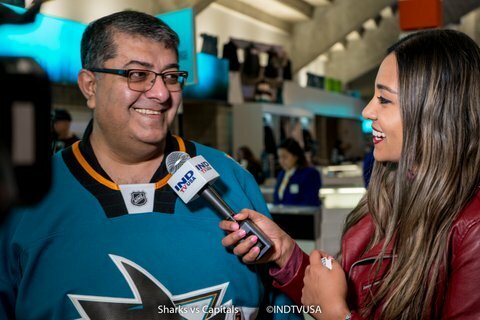 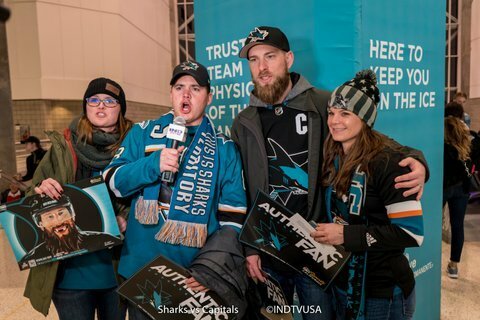 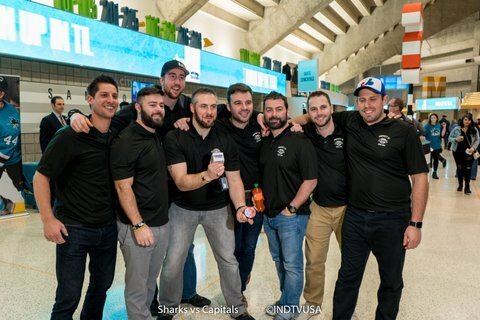 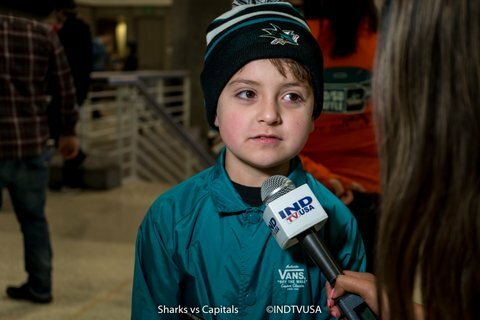 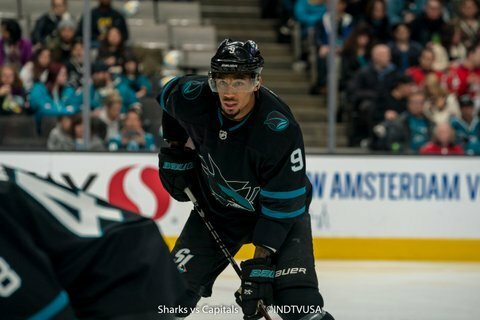 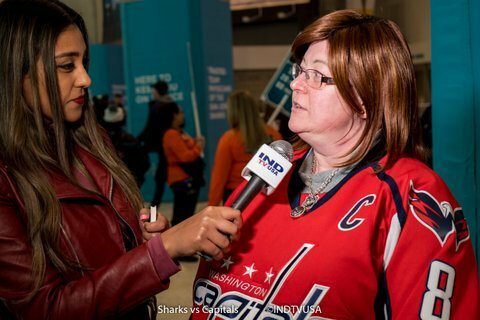 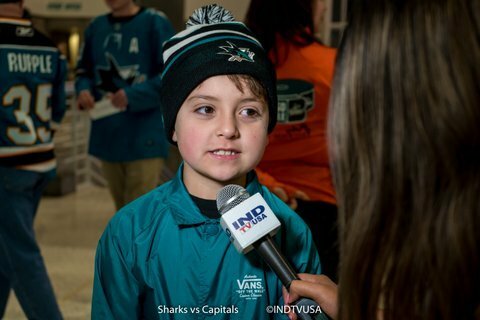 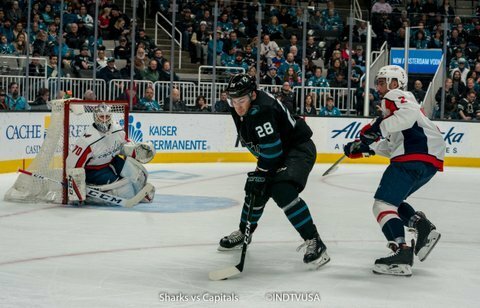 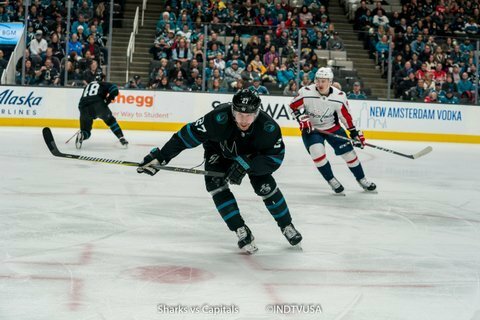 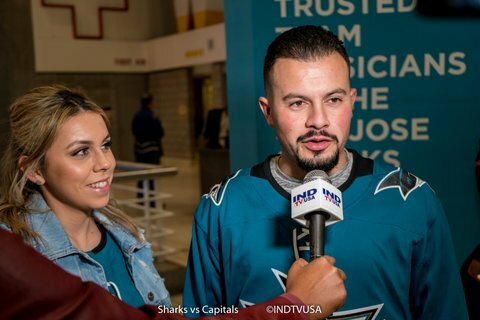 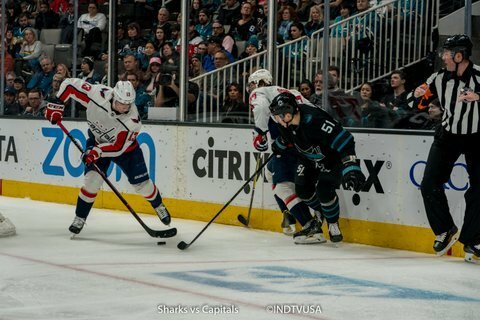 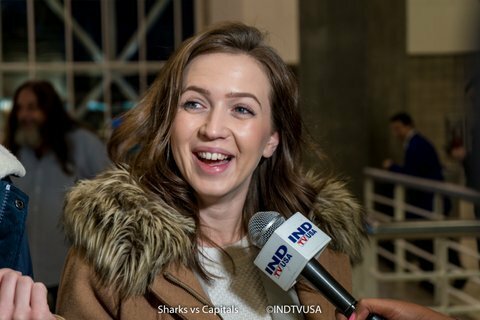 Tonight the Sharks led in face offs (56%-44%) and giveaways (8-6) while the Capitals led in shots (29-26), blocked shots (21-17) and takeaways (7-2). 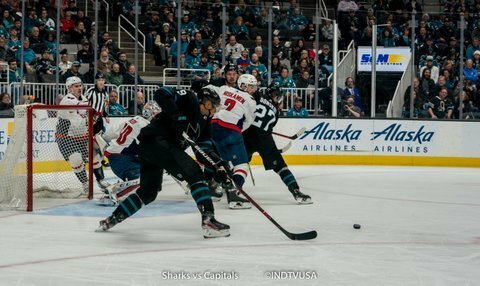 Both teams were tied in hits at 20.